Inspired by the Killzone Slingblade and Spitfire DoubleCross, the new Swingfire is designed to never open in flight and instantly deploy upon contact - ensuring that failure is not an option. Field-tested with pinpoint accuracy at 450 fps. The revolutionary new Killzone Swingfire. Inspired by the Killzone Slingblade and Spitfire DoubleCross, the new Swingfire is designed to never open in flight and instantly deploy upon contact - ensuring that failure is not an option. Field-tested with pinpoint accuracy at 450 fps. 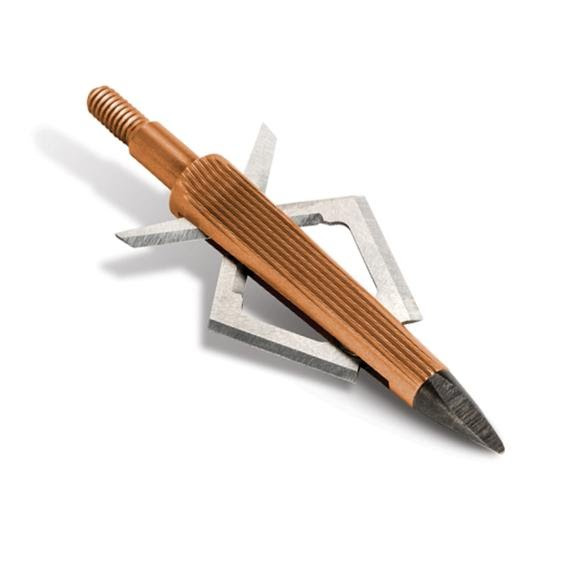 The revolutionary new Killzone Swingfire.The first-ever broadhead that independently shifts four different and opposing cutting surfaces to reduce friction and drag. The blades on the Killzone Swingfire create less resistance which improves penetration and helps momentum.